I LOVED my Harlie Dress. 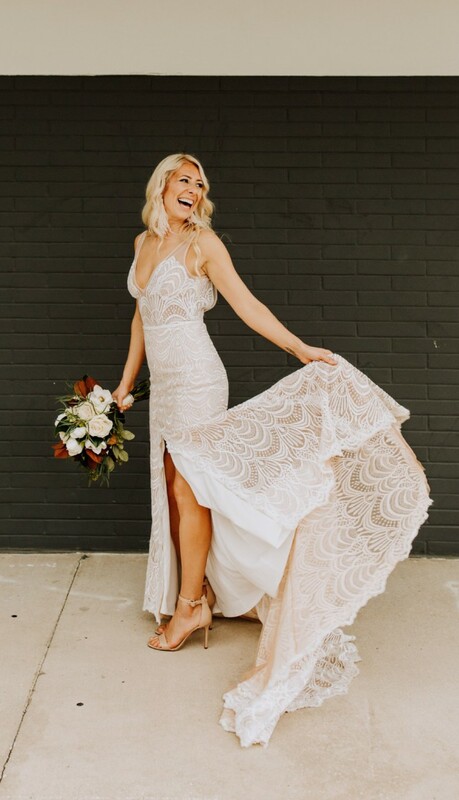 This is the second wearing of this gown - I purchased this dress from StillWhite in June 2018 for my December 2018 wedding. The dress came dry cleaned by Made With Love and was in perfect condition. The receipt which shows the dress cost $3542 AU (even though the website states the dress cost $2800-$3000 that doesn't include the extra cost for the middle split, the dress bag or GST). Wearing the Harlie was the prettiest that I've ever felt and it was so comfortable. It was easy to wear, just one zip and hook, no boning, the middle slit makes it easy to walk in. My dress is in the Bone color. I normally wear a size 2/4 US or size 8 AU in dresses. My measurements in this brand fitted an XXS (Size 6 AU). I am an A/B cup but it would easily fit a B/C cup. The dress was fitted but not super tight. The hem has been taken up so the front was just touching the floor prior (I am 5'4''in and wore 2.5in heel). And the top was made slightly tighter so that it didn't gape when I was sitting down. The dress has been dry-cleaned again and looks brand new! I will send the dress with the original dress bag and packaged in a box so that it stays safe. 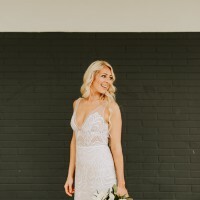 Happy for Florida brides to come try on! The hem has been taken up so the front was just touching the floor prior (I am 5'4''in and wore 2.5in heel). And the top was made slightly tighter so that it didn't gape when I was sitting down.